First of all, Barbecue is a food dish consisting of a whole (or good part) of an animal slow cooked over a smoldering fire for a long period. A barbecue is also an event or gathering in which people come together to celebrate and eat Barbecue (first definition). These are the definitions you'll find in most any dictionary. However, today barbecue is a process of preparing food that requires smoke, low temperatures and long periods of time. 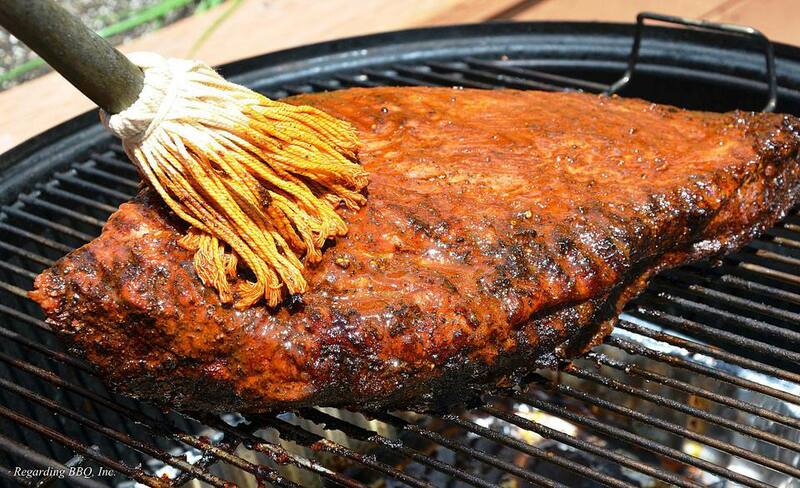 The meats typically chosen for barbecue include, but are not limited to pork shoulder, brisket, ribs, mutton roasts, whole hogs, and other beef and pork roasts. Barbecue is also the event or meal in which this food is served. Of course, you hear people refer to barbecue grills when they mean gas grills. You hear people say they'll be serving hamburgers and hot dogs at their barbecue. The truth is and the only definition that matter, I think, is that barbecue is a gathering, a meal, a sharing of time, food and companionship. Barbecue brings people together and makes them happy. Barbecue is about good times, friends and sometimes, it's about the food.